While you are enjoying your cup of coffee, I’d like to take a minute to ask you to reflect on the state of the world. If you stop and really think about it, you might get a little depressed. We are constantly hearing how bad things are. Disease, violence, weather, economics, civil rights…. I don’t blame you if you’d rather just quietly sit and enjoy your coffee, and be satisfied with the conclusion that in this peaceful and serene moment, there isn’t anything you can do about any of that stuff. Of course you care, but what can you do? There’s so much media, politics, and debate, it’s easier to just tune it all out and enjoy your coffee. Well, I have some news that might surprise you: You are making a difference right now. You’re drinking Dawn Chorus Coffee. 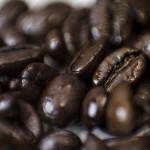 You might be surprised to learn just how much those tasty coffee beans do. Take another sip. It’s delicious, isn’t it? Robust, flavorful, earthy. I’m no coffee expert, but I know a great cup of coffee when I taste one. And this is truly a great cup of coffee, in more ways than one. So while the coffee itself has its own benefits, the action of getting it into your hands has even more. One person with a vision and an idea can have a huge effect on not just this community, but the world. Small actions can be one significant step towards big solutions. It starts when we stop talking about a problem, and start doing something about it, even if that something is as simple as enjoying a nice cup of coffee. I am wondering if Dawn Chorus Coffee could explore earning the “Bird Friendly” Certification (https://www.allaboutbirds.org/making-sense-of-coffee-labels-shade-grown-organic-fair-trade-bird-friendl/). Though shade grown is a good start, it does not guarantee that the coffee farm provides suitable habitat for overwintering warblers and other songbirds. I love Athens Own and your coffee and it would be great to know that my purchase of Dawn Chorus coffee not only supports social justice but also helps declining bird populations like the wood thrush recover. Joseph, my apologies for not replying to you sooner. An in depth answer is forthcoming. Constantine, Sounds great, thanks very much for taking the time to reply. Joseph, FYI, SMBC Bird Friendly Guatemalan Atitlan, then Huehuetenango are the very first coffees we had roasted, and have not been able to source green SMBC Guat or Peruvian since. If I am correct, Athens local Marc Cohen used to inspect for SMBC. He also managed the Beliz Agroforestry Research Center. Thanks, Constantine. What does SMBC stand for? I wonder why you have not been able to source those bird friendly coffees since?